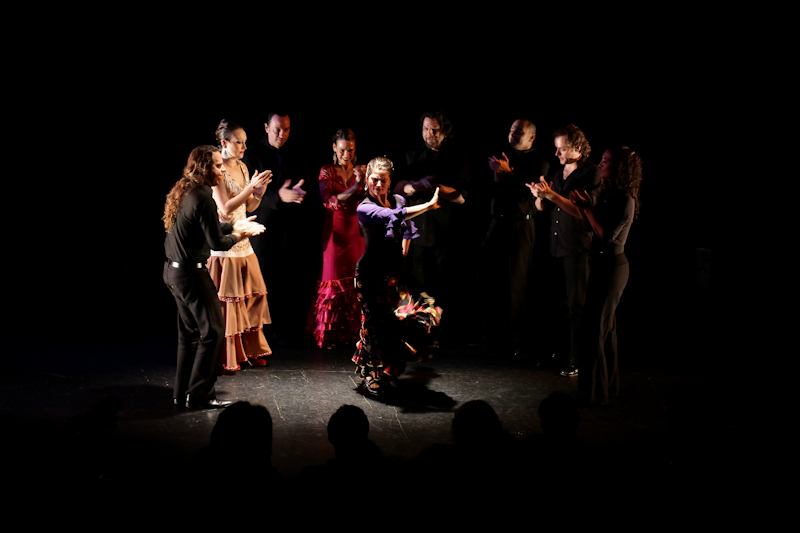 A Palo Seco Flamenco Company performs regularly throughout the East Coast and beyond, with full-length theatrical productions and Arts Education performances for school children of all ages. Check out the calendar for more information and the list of repertoire including full-length and shorter pieces. For a more detailed list of all upcoming performances see here. Some community events are FREE! Purchase advance tickets to other special events here. With an eye on both convention and innovation, this production explores the juxtaposition of the raw emotional darkness and the festive playfulness, which are both essential to this Spanish art. The "Rasgos Flamencos," or defining characteristics of the art form, are present in both traditional repertoire and in pieces with a more contemporary and personal touch. Flamenco in its most traditional format: the tablao, or cabaret-style setting. With a mélange of musical numbers, dance solos, and group pieces, the essence of the Spanish art is at the heart of "Al Tablao." A compilation of the company’s works from different productions, “Excerpts” showcases conventional works as well as the company’s signature touch of modern and metropolitan repertoire. Set to traditional cante (song), this piece features more contemporary choreography and is noted for its emotional rawness and power. A group piece, danced in traditional garb to music that features both well-known lyrics, yet not-so-traditional music. Group piece - 8 mins. The abanico (Spanish fan) is implemented in an original work that, structurally, has nothing to do with Flamenco except for the rhythms it uses. The abanico takes on the role of another percussive instrument and a sharp visual punctuation, performed a palo seco (no musical accompaniment other than percussion). Solo-original composition - 8 mins. An original piece, beginning with classical piano and moving into a haunting choreography to modern American music that echoes the emotional depth so distinctive within Flamenco. Solo- original composition - 5 mins.